In 2015 Ethiopian Airlines launched a direct route between Cape Town and Addis Ababa, the first ever direct flight between the two cities. Now, one year on, the airline has announced that they will be adding another weekly flight to Cape Town, effective 1 July 2016. The airline currently operates nine weekly flights to Cape Town. Two of the flights are direct from Addis Ababa, three are routed via Johannesburg and three via Gaborone. From the 1st of July 2016 the airline will operate four direct weekly flights to Cape Town and four via Johannesburg. The airline will also change the aircraft that they use on the route from a Boeing 737 to a Boeing 787 Dreamliner. The aircraft swap will increase the flight capacity from 137 passengers to 286. Ethiopian Airlines flight ET 846 is set to depart Cape Town at 20h45 on Mondays, Wednesdays, Fridays and Sundays, arriving in Johannesburg at 22h35. The aircraft then departs Johannesburg at 23h35, arriving in Addis Ababa at 06h00 the following day. The direct flight, Ethiopian Airlines flight ET 848, will depart from Cape Town International at 12h05 on Mondays, Wednesdays, Thursdays and Saturdays, arriving in Addis Ababa at 20h00. Kenyan Airlines has joined the growing number of international airlines that are introducing flights to Cape Town. The airline recently announced that they will start flying between Nairobi and Cape Town from the beginning of July 2016. The flight will be routed via Livingstone in Zambia, the country’s gateway to one of the 7 natural wonders of the world, Victoria Falls. The flight will depart Nairobi at 07h20 on Wednesdays, Fridays and Sundays, arriving in Cape Town at 13h25. The aircraft will stop in Livingstone for an hour to pick up passengers and refuel. Passengers will not be allowed to disembark the aircraft. The return flight will leave Cape Town International Airport at 14h15, arriving in Nairobi at 22h00. The aircraft will once again stop in Livingstone for an hour on the return flight. The airline also recently increased its scheduled flights between Johannesburg and Nairobi from three flights a week to four. Turkish Airlines is increasing its flights between OR Tambo International in Johannesburg and Istanbul from the 11th of July 2016. 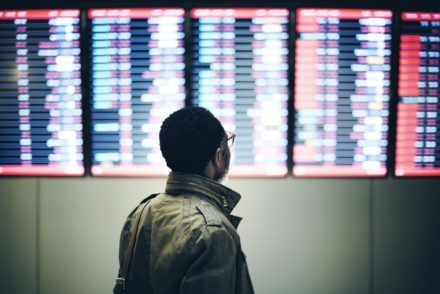 The airline’s general manager, Mehdi Tunc, announced that the airline will be introducing an additional three return flights a week to their current weekly schedule. This will bring the number of weekly flights that the airline operates between Johannesburg and Istanbul to 10. At present the airline flies between Istanbul and Johannesburg on a daily basis. The flight departs Istanbul at 01h30 and arrives in Johannesburg at 10h20. The return flight departs Johannesburg at 18:45 and arrives back in Istanbul at 05h15 the following day. The new flights are to be operated on Mondays, Thursdays and Saturdays. Turkish Airlines also recently started flying between Istanbul and Dubrovnik in Croatia. Eastern Europe has become an increasingly popular destination. The cost of travel in much lower in eastern European countries compared to the cost of travel in western European countries. Croatia is now one of the world’s best sailing destinations. With Turkish Airlines South Africans can now seamlessly connect to Dubrovnik from Cape Town, Durban or Johannesburg via the airline’s hub in Istanbul. South Africa’s youngest domestic airline, Fly Blue Crane, has announced that they will start flying between Cape Town and Windhoek from as early as May 2016. South African and Namibian aviation authorities approved the airline’s application to start flying on the route at the end of April. The airline currently only operates flights to smaller cities and towns within South Africa. The airline will be making its international debut with the Cape Town – Windhoek flight. The inaugural return flight is set to take off on the 13th of May 2016. The flight schedule and base airfare will be released soon. British Airways is launching seasonal direct flights between London Gatwick and Cape Town. The first flight will take off on the 24th of November 2016 and run until the end of South Africa’s summer months. The flights will depart Gatwick at 18h00 on Mondays, Thursdays and Saturdays, arriving in Cape Town at 07h50 the following morning. The new service will add 825 extra seats a week to the Cape Town – London route. British Airways is currently the only airline that offers direct flights between London and Cape Town year round. Reservations have officially opened on Emirates airlines’ newly launched third direct flight between Cape Town and Dubai. The flight will take to the skies for the first time on the 4th of July 2016. Emirates airlines flight EK778 is scheduled to depart Dubai at 10h50, arriving in Cape Town at 18h30. The return flight, Emirates airlines flight EK779, will depart Cape Town International at 20h05, arriving in Dubai at 07h30 the following morning. The flight will accommodate passengers in first, business and economy class on a Boeing 777-300ER aircraft. The new flight will be operated on a daily basis throughout the year.